THE FROSTY WEATHER is set to continue over the weekend with temperatures dropping -1 degrees tonight. Today will be mostly dry and bright throughout the day but clouds are expected to move in from the north with patchy drizzle affecting northern and northwestern areas later. Temperatures will rise to seven degrees during the day but will drop as low as -1 tonight. Patchy rain and drizzle will hit the country tonight in the north and west. The Midlands, south and east will see dry spells with frost and ice. The frost, ice and any mist will clear tomorrow morning. It will be cloudier than today but less cold than recent days with highest temperatures of up to 10 degrees. Most areas will remain dry with some sunny spells expected. Met Éireann says it will stay mostly dry and calm on Sunday with light northwest breezes. While temperatures will hit up to 11 degrees during the day, it will be a cold night with a touch of frost. Email “Wrap up warm... the frosty weather is going to continue throughout the weekend ”. 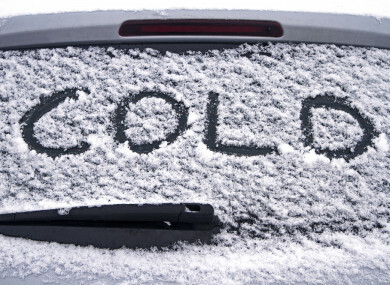 Feedback on “Wrap up warm... the frosty weather is going to continue throughout the weekend ”.